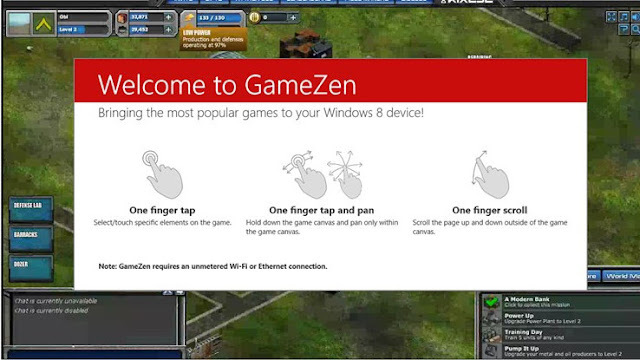 Cloud gaming company Agawi released the GameZen App for Windows 8 to the Windows Store. 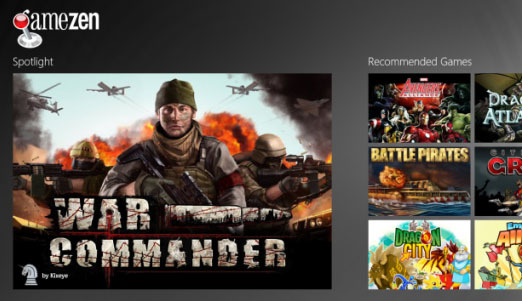 The App brings cloud streamed games to devices running the just released Windows 8 operating system, including Windows RT devices. This follows Agawi's announcement of a collaboration with Microsoft and the launch of a Game Partner Program. 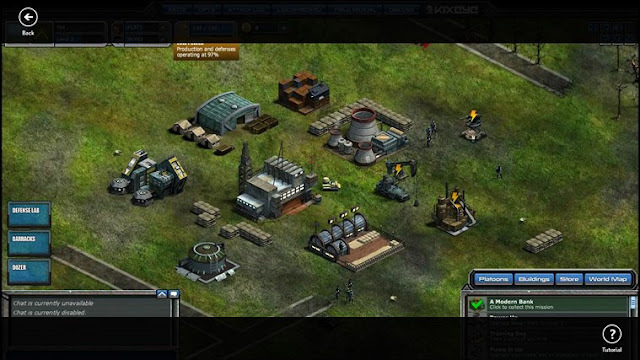 GameZen offers cloud-based streaming of action, strategy, mid-core, social, MMO and other genres of games to all Windows 8 devices, with over 1,000 games like War Commander, Marvel: Avengers Alliance, Dragons of Atlantis, The Lost Island, Outernauts, Battle Pirates, Wings of Destiny, Galaxy Life, Tom Clancy's Ghost Recon Commander, Dragon City, Empires & Allies, Gangs of Boomtown and The Sims Social already available right at the software’s launch date. Because of Agawi’s capacity to make use of the cloud’s flexibility and third-party storage, the platform has the immense potential to continue adding games at a rapid rate and ultimately aims to stream hundreds of thousands of games to Windows 8 devices. The GameZen App blends right in with the new Windows 8 Metro user interface designed and optimized for touch controls. No wonder that the App is built heavily around touch interactions with people able to play the games on Windows 8 PCs and tablets with native touch controls, and of course with the classic keyboard and mouse control scheme. The technology underlying GameZen is Agawi's version 2.0 cloud gaming platform which is using Microsoft's Windows Azure cloud computing platform to stream games from the cloud. Agawi is being cautious. The company won’t yet target games that have massive hardware requirements and require ultra-low latency to be enjoyable, such as immersive 3D multiplayer shooters. But some of the best current action-adventure titles enjoyed best solo will definitely be among those they will announce by the end of Q4 of this year, as Agawi will partner with games publishers and developers. “The Windows Store right now is not as big — especially for the tablet — compared to the competitor’s stores. But by releasing GameZen, we’re instantly bringing thousands of games,” Relan added for VentureBeat. “The financial arrangement is primarily that we will bear the costs of cloud-based streaming,” Relan added for TechCrunch. “And developers, we’re basically featuring and spotlighting so they get discovered, and we have a business model around that for making our money off of that side and covering the costs of streaming.” To help encourage developers to join, however, Agawi is currently offering promotion services at virtually no cost until the end of the year. Speaking of Windows 8 user numbers, I wonder if OnLive will release their cloud gaming App to the Windows Store and get exposure to these forecasted user numbers. Of course that depends if Microsoft will grant the OnLive App as the two were already in the news because of OnLive Desktop Windows 7 licensing troubles and the subsequent move of OnLive Desktop to Windows Server 2008 R2. OnLive had a successful release of their App on Android, but there's still no sign of the OnLive App for Apple devices, and no information or timeframe from OnLive on when the service will be released for iOS.